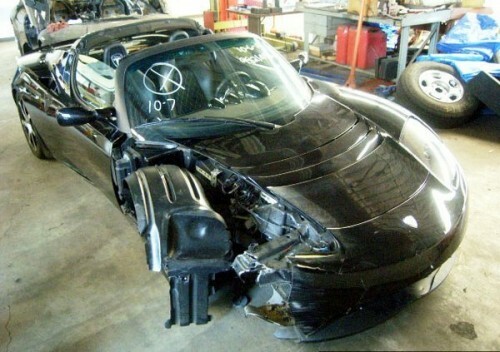 The Tesla Roadster has been in production for a couple of years now and as with any exotic car, there have been a few mishaps. Many drivers are taken by surprise at the 200ft-lbs of torque that the Tesla produces off the line and without specific driver training, things can go wrong very quickly. 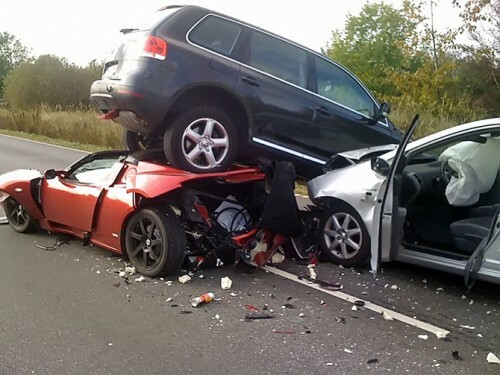 Now it is worth pointing out that no one died in any of the accidents pictured here, in fact there were no serious injuries (other than that $109,000 hole in the owners wallet). The Roadster went through a slew of safety tests and features all the airbag/crumple-zone goodness that we all hope we never need. Click through for more images and remember to be safe out there, no matter what you’re driving. 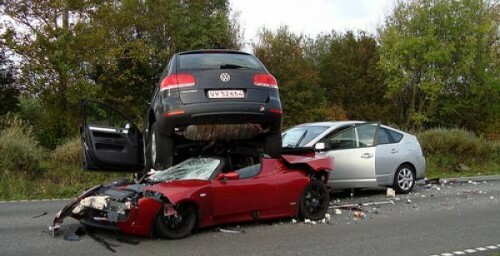 Must be the worst feeling in the world to wreck a Tesla! 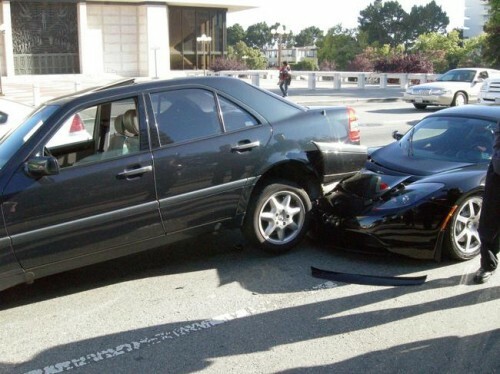 Hurts just looking at these pics! For what it’s worth, the red Tesla in the top two pictures did not actually hit anything (not directly). 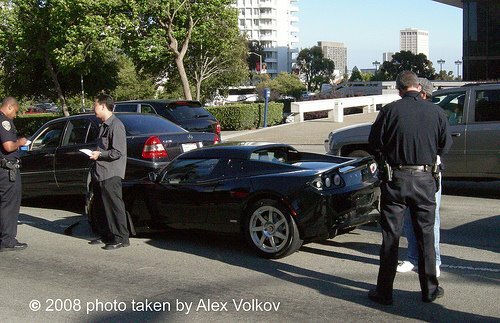 The guy was stopped when the silver car in the back rammed into him, pushing him underneath the car that wound up parked on top of the Tesla.